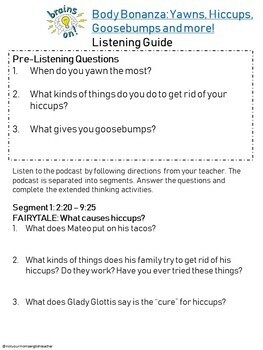 This episode investigates the “why” of hiccups, yawns, goosebumps and other things that happen to the human body. They combine science with literary techniques, by explaining the science of these functions through a fairytale, song, poem, television sitcom, grocery list, radio play, Shakespeare and a movie trailer. 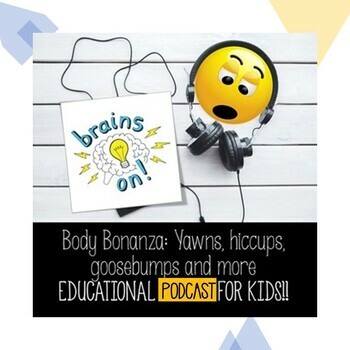 Students will learn all about the body in entertaining ways! Each segment focuses on using a different technique to tell about each function, and the times are given. 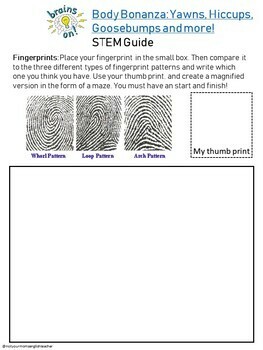 Depending on the level of your students you could break this lesson up over the course of several days. 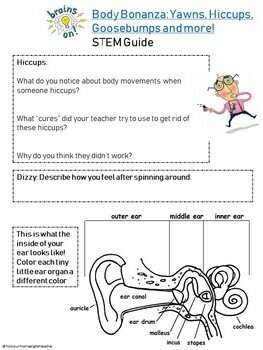 This lesson is broken down into nine segments, six activity suggestions to demonstrate this science to children, three extended activity STEM worksheets and a "Science Meets ELA" activity. This documents comes in a PDF and editable PPT so that you can cater to your individual grade and student needs. Do Dogs Know They are Dogs?